Wow, sorry about that unexpected hiatus from the blog. November got away with me, what with a family road trip and other stuff that popped up. A lot of folks get busy during this time; I am no exception. Baking has had to take a back seat. 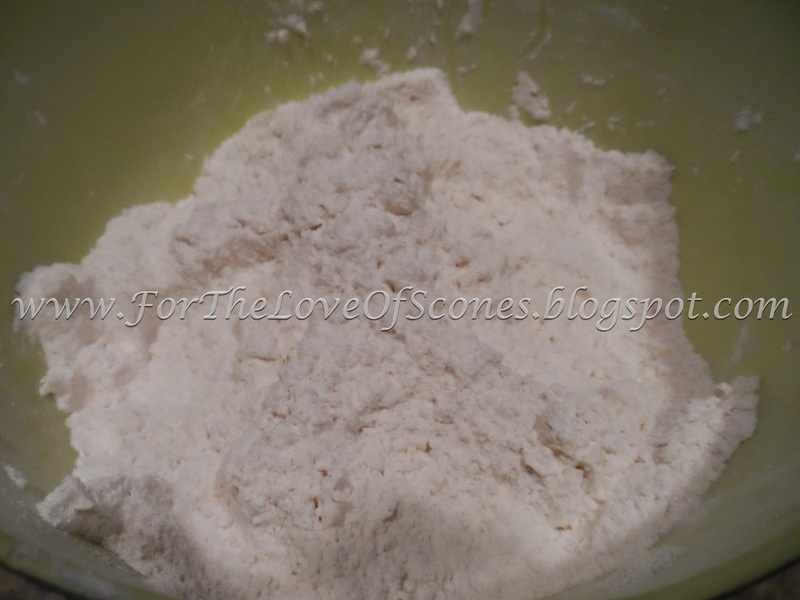 However, I did make up a plain scone recipe the other week that I actually quite enjoyed. 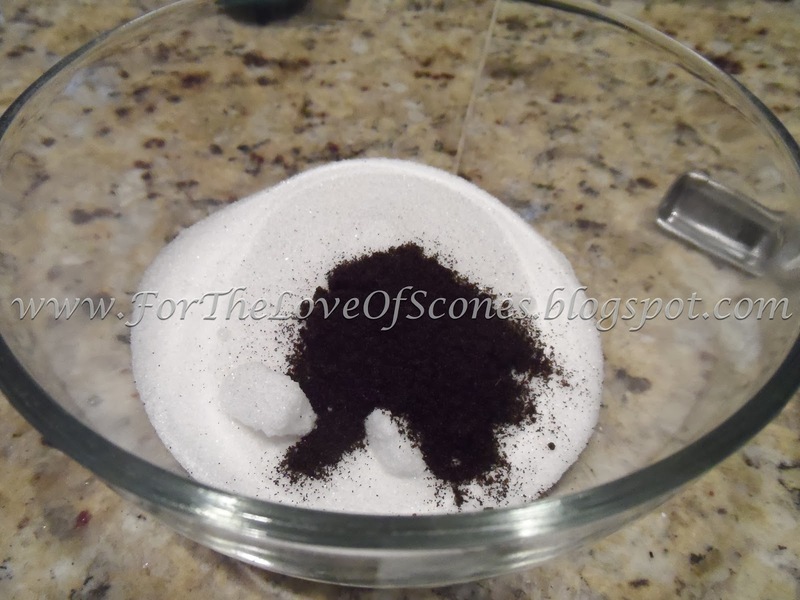 It was quite simple, but because I am a vanilla lover, I took this opportunity to use some of the vanilla beans I purchased from Williams & Sonoma a while back. I’ve been hoarding them because they are expensive, and I don’t want to waste them. 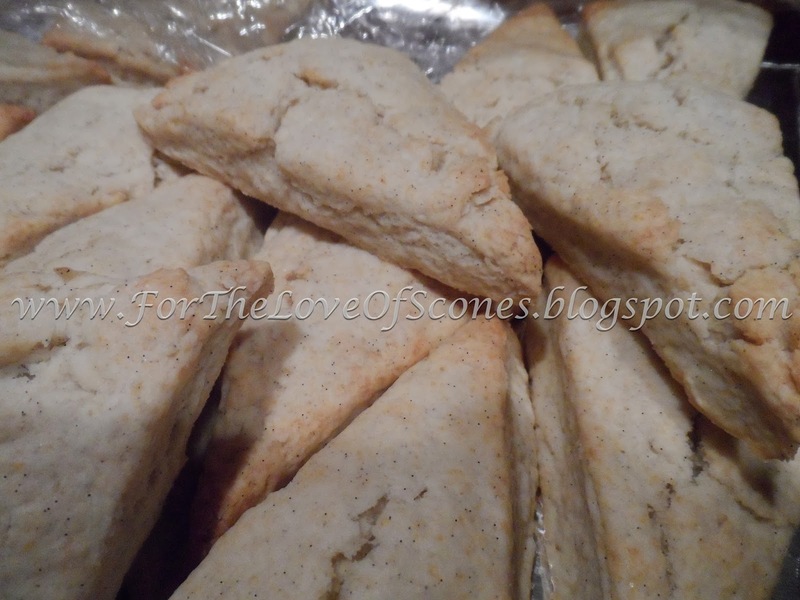 But I think the vanilla beans were a great addition to these otherwise simple scones. First things first: make vanilla sugar. Mix vanilla and sugar together well. All ingredients measured out. This is a very simple recipe. Add butter, blend with pastry blender. Add heavy cream and mix with a wooden spoon. 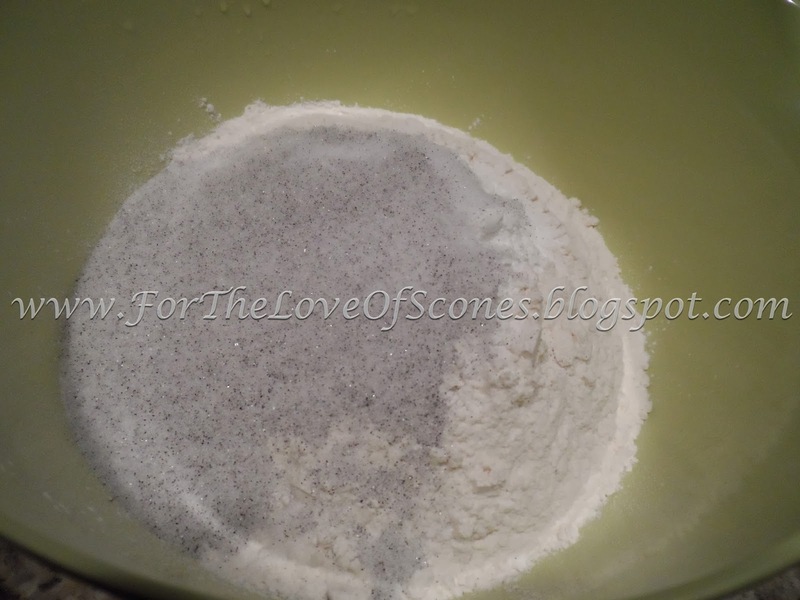 Add enough cream so that the mixture just comes together (a few floury bits are okay). 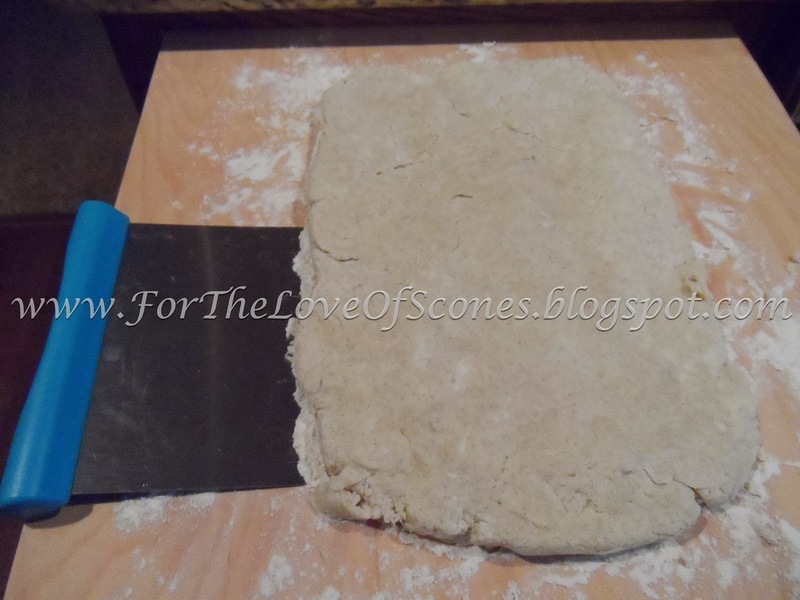 Flatten out onto a lightly floured surface. 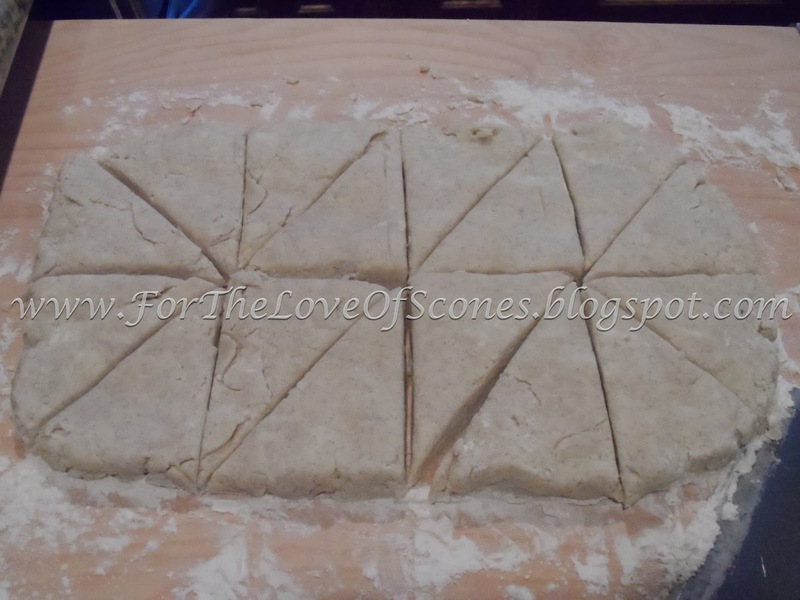 Cut into scone shapes–a double recipe makes 16 scones. Bake until lightly golden. Cool, and enjoy! 1. 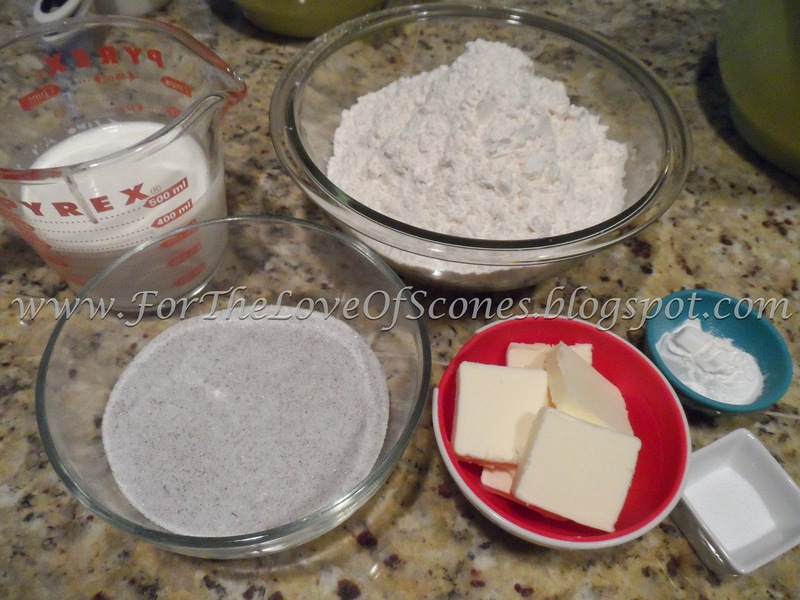 Combine the dry ingredients (flour, baking powder, salt, and vanilla sugar) and whisk to mix. 2. 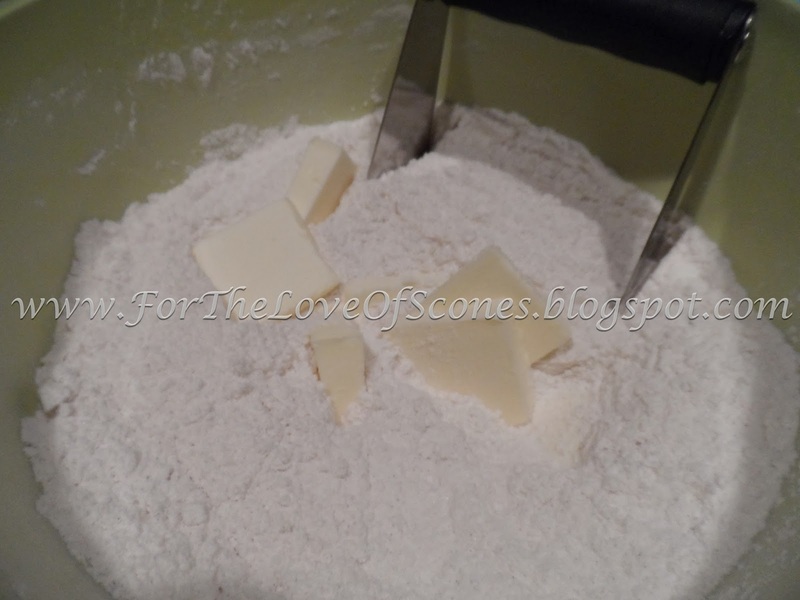 Add the cold, chopped butter and work in with a pastry blender until the mixture resembles coarse sand. 3. 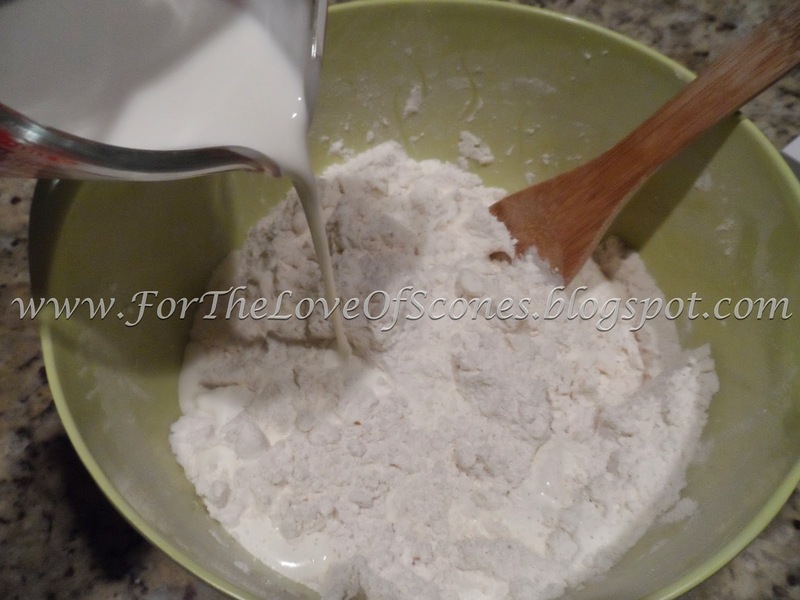 Add the whipping cream, starting with half and adding as needed. 4. Bake 15-20 minutes at 400˚F (I baked mine frozen, took about 20 minutes) until lightly golden. 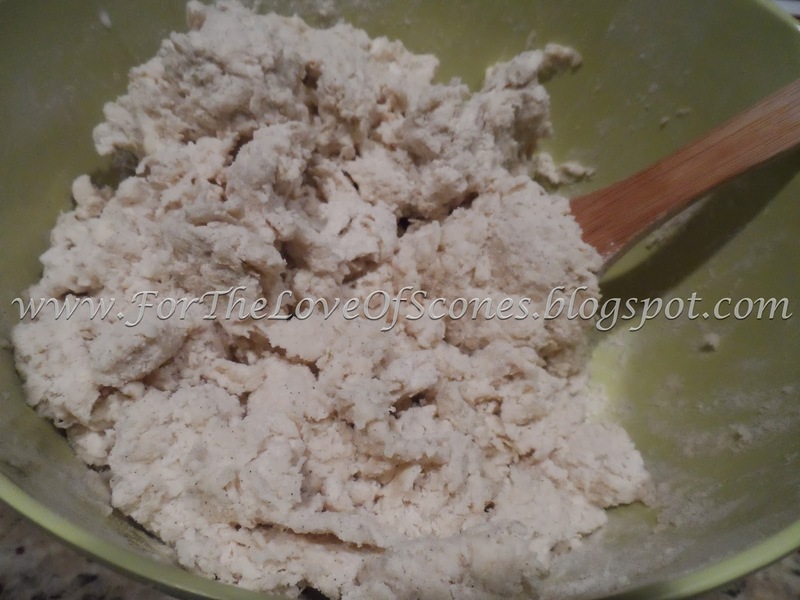 These are a very simple scone to make. Unbaked, they freeze well. 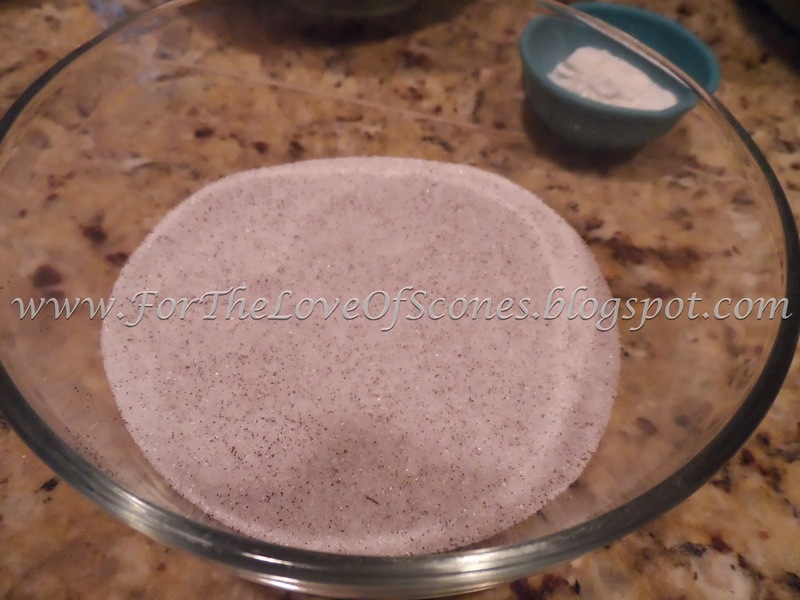 Baking will then take a few minutes longer (just place frozen on a parchment-lined baking sheet and pop into the oven). Not only were these simple, but they were well received at my hubby’s office. Cream scones always go over well, and these were no exception! *I originally had 750-1000 mL here, but that was a mistake from when I had been doubling the recipe. Sorry if that caused any confusion!